While the U.S. allows for rollover payday lending by charging a fee for a loan extension or renewal in some of its states, the term, “rollover” or “re-loan” in areas like Ontario carries a different connotation. A rollover in the U.S. is another name for a payday loan renewal while a rollover is generally considered to be a separate loan in Canada. The loan is taken out with a loan that is currently in force – with both of the loans originating from the same payday loan source. What is a Re-loan? Rollovers are not permitted in such areas as Toronto as you have to pay off your loan before you secure financing from the same lender again. If you do obtain another loan, it is referred to as a re-loan – financing which is given to an existing payday loan customer who has paid off a previous loan. You Can’t Apply for a Re-loan Either if You Default and Don’t Fully Reimburse the Cost of the First Loan With that being said, if you do have a payday loan out with a Canadian payday lender and do not make the payment by the due date, then you won’t be eligible for a re-loan until your defaulted loan is fully paid. A late fee is normally assessed for the defaulted amount. It Pays to Make Your Payments It pays to pay off your payday loan as you are eligible for higher loan amounts if you prove yourself in this respect. Generally, first-time payday loan customers can take out as much as $500. This amount increases to $1,500 if they pay off the initial amount. When It is Cost-effective to Apply for a Payday Loan However, before you apply for a payday loan, you will need to consider whether the funding is right for your particular situation or financing needs. For instance, in certain situations, a payday loan can be a less expensive payback than the fee charged for reconnecting utilities or having to pay the NSF charge from a bank. So, if you have been given notice of a shut-off from your utility company or you need to pay a bill that was due yesterday, it often proves to be more worthwhile to apply for payday funding. A Payday Loan is Not Designed to be Extended Hopefully, you normally don’t run into the aforementioned situations frequently as payday loans are specifically designed for either unique circumstances or for occasional use. 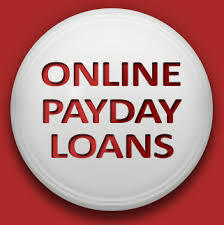 A payday loan should never be considered as funding for a longer term. If you fall into the trap of using the financing continuously, then you should look at other funding sources or talk to credit counselor for advice.